One cannot approach Aleksandr Blok's poetry without asking some fundamental questions about the lyric cycle. Why did Blok organize virtually his entire lyric output into cycles? What information (if any) was he able to encode in the cycle that would have been absent otherwise? What need was there for him to create a cyclic construct unprecedented in Russian poetry -- "trilogy of incarnation" -- out of nearly 800 separate lyrics and two poetic narratives? The more one tries to answer these questions, the more one is compelled to consider others which are at once more general but relevant specifically to the issue of Blok's poetics: What is a cycle? How do cycles "work"? What kinds of cycles are there? Is there a cyclic tradition in Russian poetry? If so, when did it begin and how long did it last? Blok's contribution as a lyric poet cannot be understood unless one poses these questions and attempts to answer them. Very little of the groundwork has been done to date, and the broader theoretical and historical issues have generally been neglected. The present study is intended in part to rectify this circumstance. The first chapter is a primer in the theory of the cycle; it addresses the problems of definition, semiotics, and typology. The second provides a history of cyclization in Russian poetry up to Blok and investigates Blok's relation to this largely unknown heritage. The sixth chapter considers, among other things, what directions cyclization took after Blok and attempts to determine what influence his example had on his successors. The central chapters of the book (three, four, and five) deal with Blok's lyric "trilogy" itself. Each of these chapters focuses on one volume of the "trilogy" and analyzes the cyclic dynamic that unifies it and is most characteristic of it. Here the essential task is not to fill gaps but to assimilate the lessons of an already voluminous literature on Blok's poetry and carry certain of its implications to new conclusions. "...a truly remarkable book." 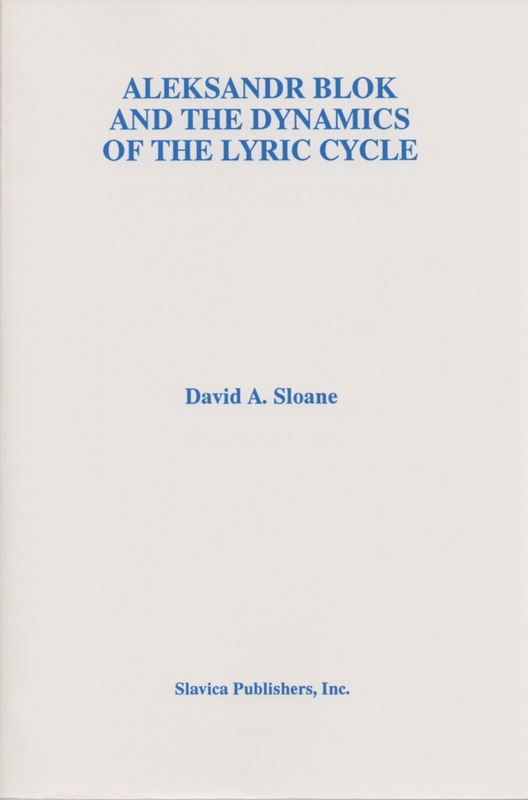 (MLR) "This is a major study, not only of Blok's lyric cycles, but also of the theory and history of lyric cycles in Russian poetry. (SEEJ) as.